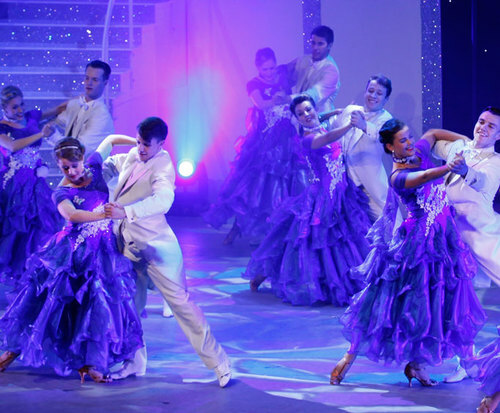 Puttin' On The Ritz - The Song & Dance Extravaganza is no longer playing in Branson. 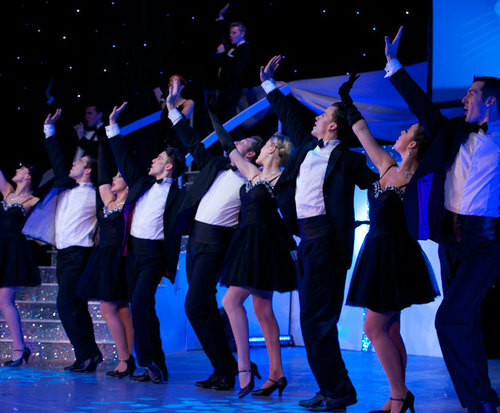 Check out Puttin' On The Ritz – The Song & Dance Extravaganza for a thrilling new experience, full of quality performance, creativity, and music and dance from the golden years of Hollywood! Puttin' On The Ritz is a five-star smash hit and has toured worldwide at hundreds of sold out locations. Now, the show is bringing its innovative routines to Branson for a look into major musicals from Hollywood's golden years. This two-hour show will wow you with sparkling costumes, dizzying dances, and moving vocals, and the combination of tap, ballet, and ballroom dance is impressive and awing in this family-friendly performance that has it all! Bringing you the most popular songs of the 1920s and '30s, Puttin' On The Ritz features songs by Irving Berlin, Cole Porter, George Gershwin, and many others, with hits of the time like “I Got Rhythm,” “Embraceable You,” “Anything Goes,” “Let's Face the Music and Dance,” “Easter Parade,” “There's No Business Like Show Business,” “Cheek to Cheek,” “Puttin' on the Ritz,” and more. Reminisce about the roaring '20s as you enjoy this all-singing, all-dancing hit, along with an energetic tribute to the award-winning dancer and singer, Fred Astaire. Don't pass up on the glittering performances, dazzling costumes, and spectacular sets of Puttin' On The Ritz for a wonderful Hollywood production! We loved puttin on the ritz, it was wonderful, we couldn't get over how talented the singers and dancers were!!! We are giving it 5 stars!!! What a super-energetic and well orchestrated extravaganza! My wife and i thoroughly enjoyed our evening watching the singers and dancers perform! We were so pleased to have the opportunity to be in branson and to enjoy the show! Absolutely the right choice for our night out it was superb! !